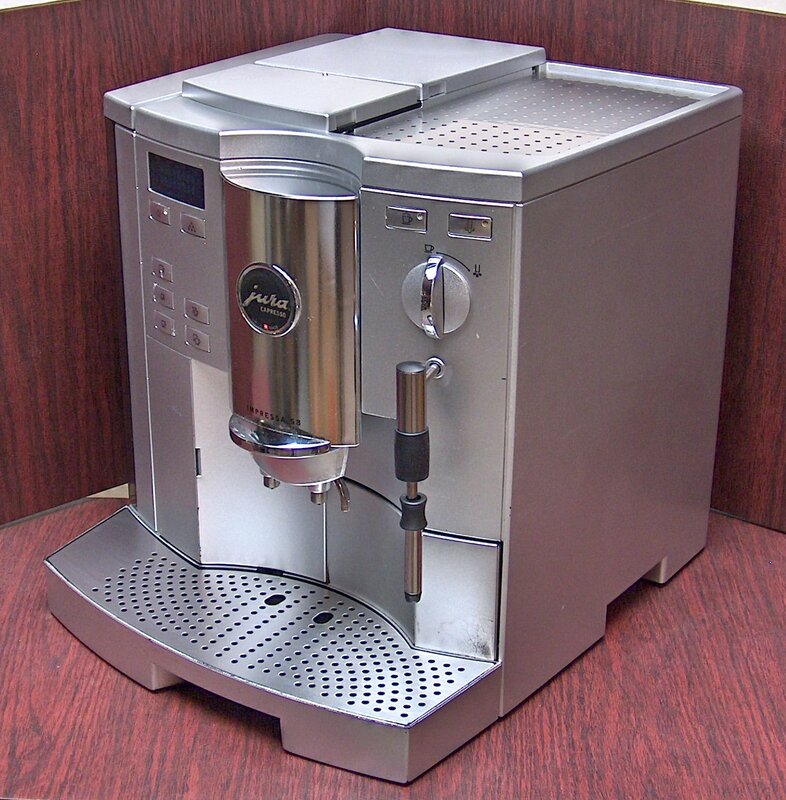 > Jura Impressa S8 Super Automatic Espresso Machine! 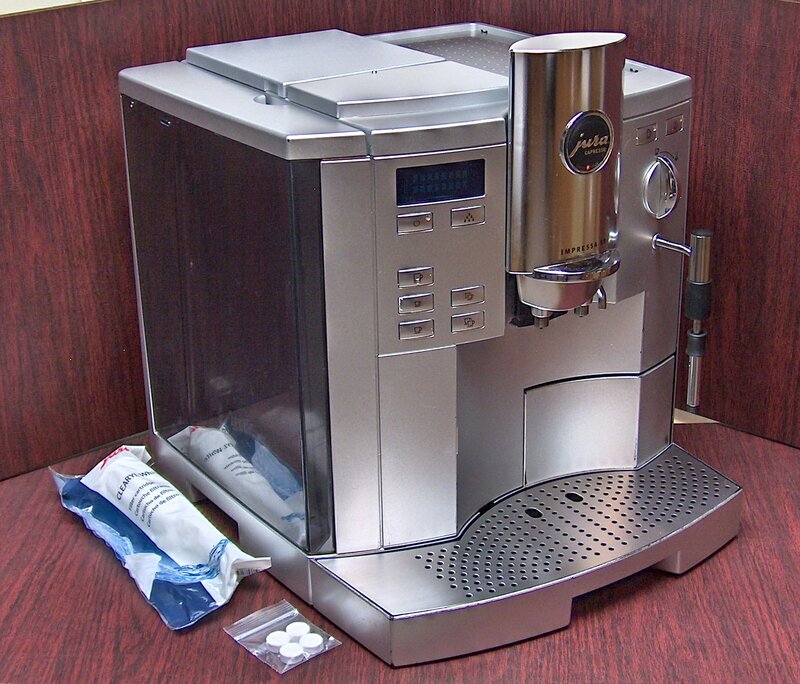 Dual boiler system allows you to switch easily between brewing and steaming. Stainless steel lined boilers are durable and provide excellent heat retention for consistency. Dual boilers result in less down time in between brewing and steaming. Pre-set buttons for single & double shots. Buttons are programmable for custom shot sizes from 1/2 to 8oz and 16 oz for two cup button. 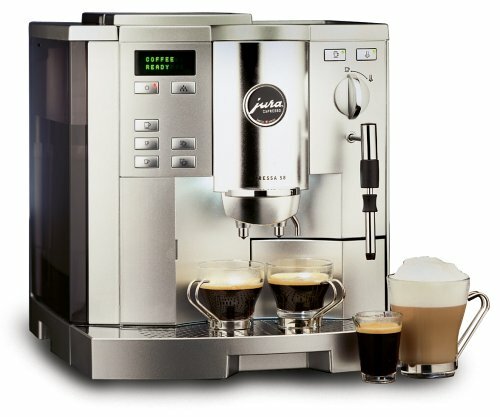 Programmable coffee amount from 5 to 16 grams for each of the five coffee release buttons - for any kind of coffee from mild to extra strong. Steam button - from 3 to 250 seconds. Full dump box indicator – holds up to 16 spent portions. Display can show total number of cups brewed and number of cups for each coffee button. Removable 96oz water reservoir – can also be refilled on the machine. 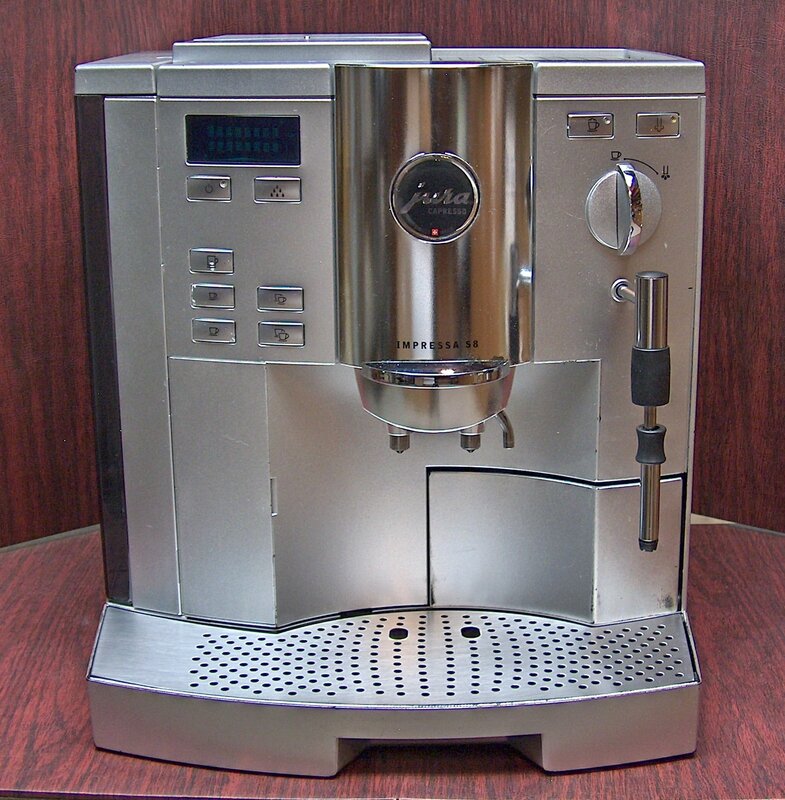 Drip Spouts can be adjusted from 3-1/4” to 5-3/4” for espresso cups to coffee mugs. Beautiful platinum finish with chrome accents.